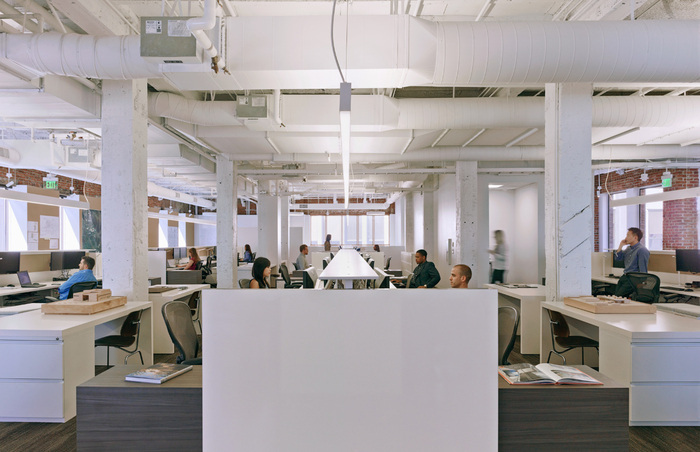 Perkins+Will designed a new office for their global architecture firm’s Los Angeles operations in 2013. 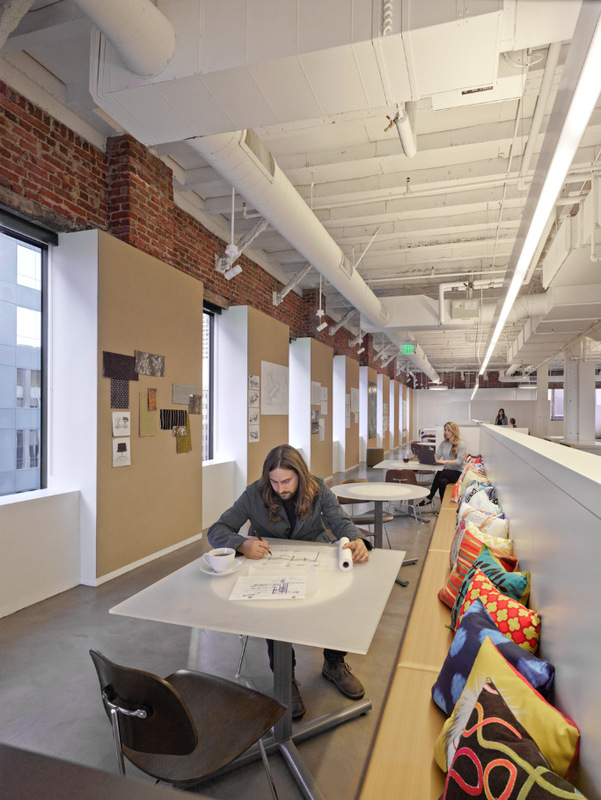 The design of Perkins+Will’s Los Angeles Office created a unique opportunity to not only alter its physical surroundings but to also enhance and celebrate the collaborative process through an alternate approach to workplace design. While workstations have typically been located along the perimeter, the new plan inverts that diagram and lines the exterior glass with collaborative teaming spaces offering an abundance of natural daylight to both private and open meeting areas. Organized within the body of the floorplate is the studio. Its plan form mimics the path of the teaming areas and is in immediate proximity to it. Staff are encouraged to work beyond their desks and utilize all areas of the office to work alone and meet with colleagues and clients. Workstations, designed and fabricated within 20 miles of the project, are designed to flex upwards and accommodate and additional 17 staff when needed. While an abundance of loose furniture is refinished for reuse, existing workstation partitions and stair guardrails have been salvaged and repurposed into new furniture, offering a visual ‘memory’ and reinforcing the office’s transformation.